Normally when we travel to the Jukebox Show in Brighton, it's a bright, sunny day with lovely views of England's South Downs. Well, not this year. 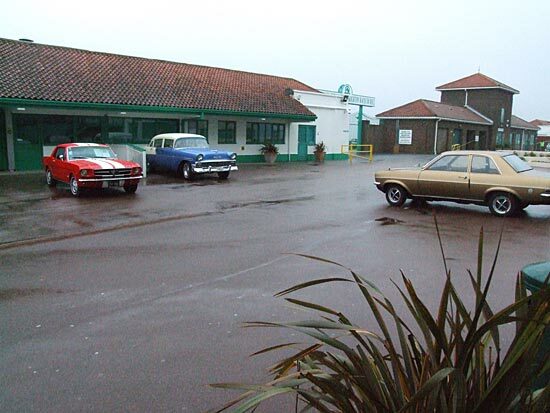 The rain and wind took over, leaving the parking area outside the building almost deserted. To be fair though, there wasn't much to see outside. 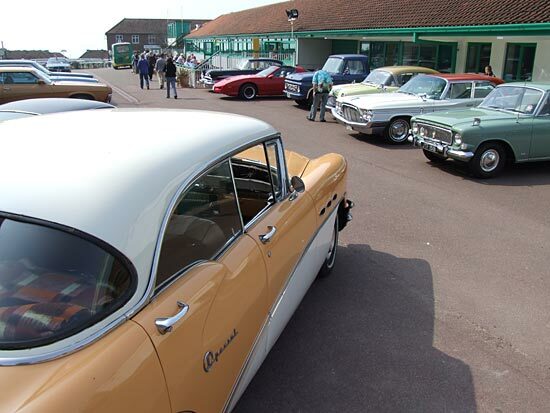 The usual display of classic vintage American cars was severely lacking. Inside though things were much as usual. Entrance to the show cost £6 ($12/€8) per adult, £4 for children and a £16 family ticket (2 adults, 2 children) was also available. 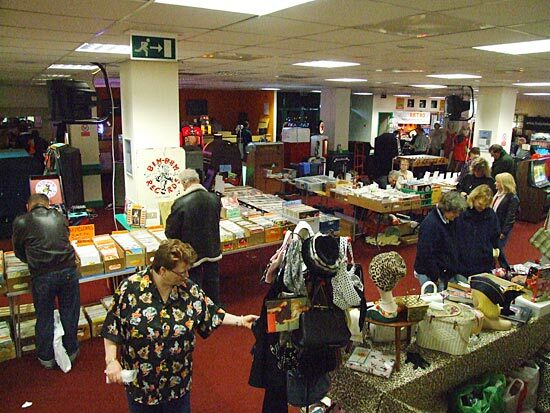 There was the usual wide selection of jukeboxes, records, CDs, signs, furniture and assorted bric-a-brac from the '50s and '60s. 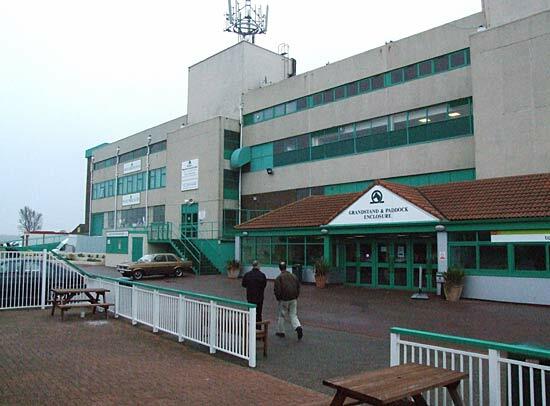 We didn't arrive until 2pm by which time the two rooms were fairly quiet with plenty of room to walk around. According to several vendors, things were much busier earlier in the day as buyers vied to grab any bargains available. That was borne out by the many "sold" signs on various pieces of equipment. But onto the pinball side and thankfully there were several machines available for visitors to play. Opposite these were several electromechanical machines. Behind these EM machines were a couple of others placed on the floor in two halves. 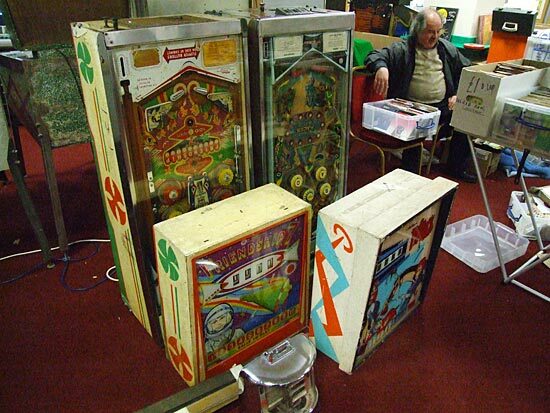 These Friendship 7 and Paddock machines looked in good condition, although nobody seemed to know who owned them, whether they were for sale or what the price was. 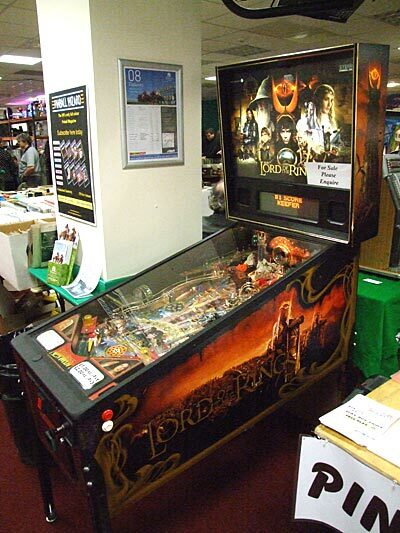 Around the corner was a pristine Stern Lord Of The Rings from Pinball Palace. 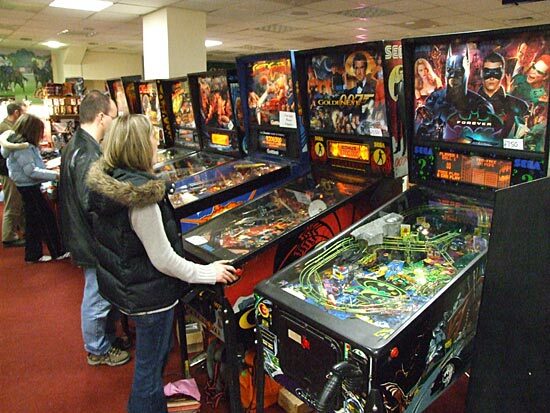 Most of the games were available for visitors to play although two of the dot matrix machines were not on free play and the start button didn't work on another. 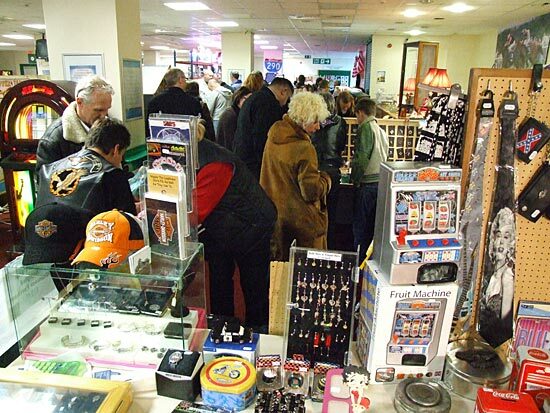 Prices, where they were displayed, were reasonable - Batman Forever - £700, Demolition Man - £550, Creature - £1295, GoldenEye -£550, but as one exhibitor said, there is a general shortage of machines in the UK and the days of cheap low-end dot matrix machines are over. 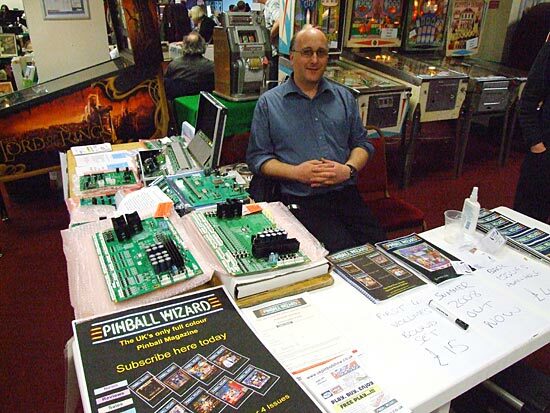 Apart from bringing machines, Pinball Palace's Sean Mills also brought a selection of spares focusing on replacement circuit boards. 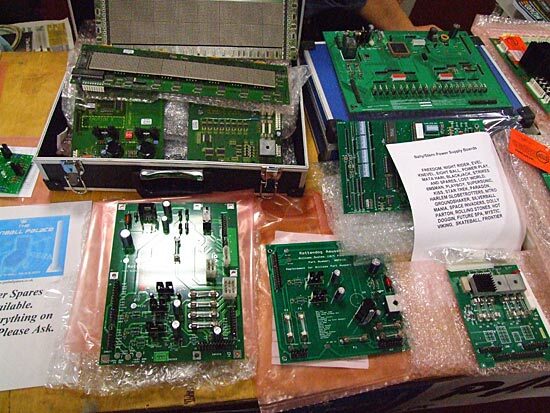 The boards included displays and drivers from Rottendog and PinLED, and showed the wide range of replacements now available. Over the corridor there was a Hook for sale at £675 (€840, $1336) while some other pins could be found in the show's second room.. 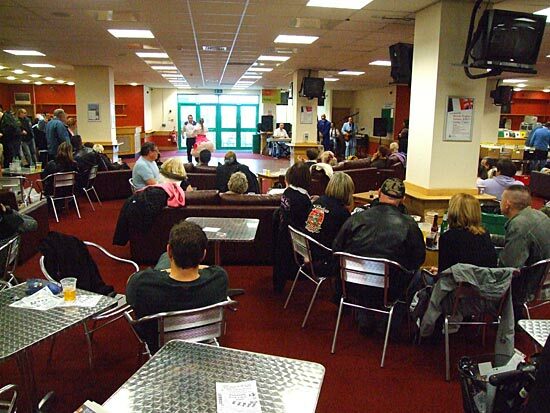 This room was largely reserved for the live rock & roll band with seating for spectators and a dance floor for those wishing to strut their stuff. 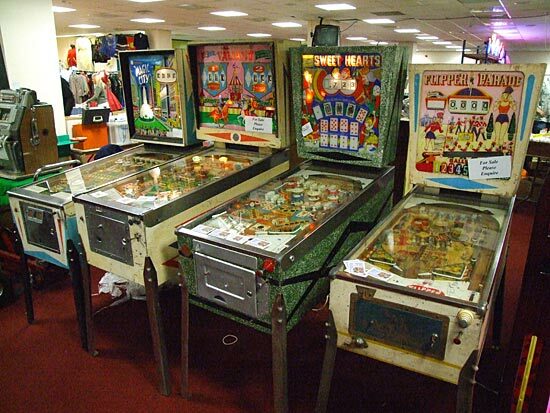 To the right of the picture above, A.G. Clarke had a few pinball items on their stand. Neither of the machines above had a price although the Getaway was already sold by the time we found it. 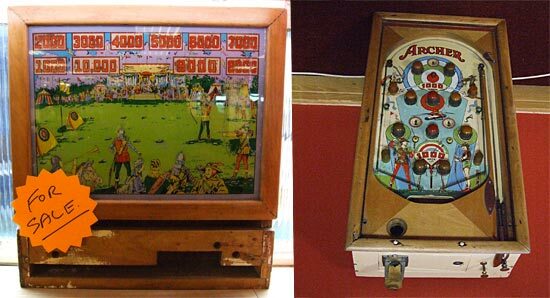 The Eight Ball Deluxe looked in generally nice condition and is a real classic game. To the right of the Getaway was a "Win A Mint" Allwin machine going for £360 complete with a box of mints, while on the other side was this 1937 Archer from Genco which looked remarkably good. 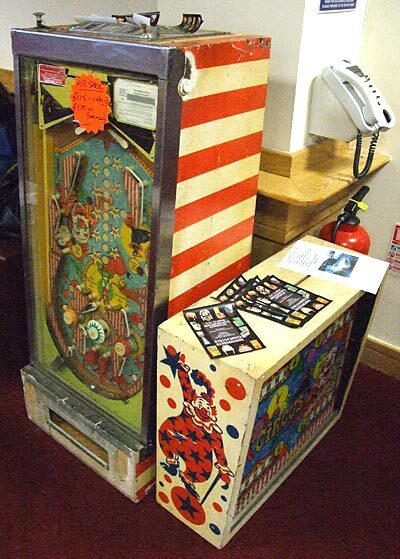 There was another game on this vendor's stand, this Bally Circus from 1973. This was available for just £175 (€218, $347), or it could be bought after a refurbishment for £275. With that we draw our visit to the Jukebox Show to an end. 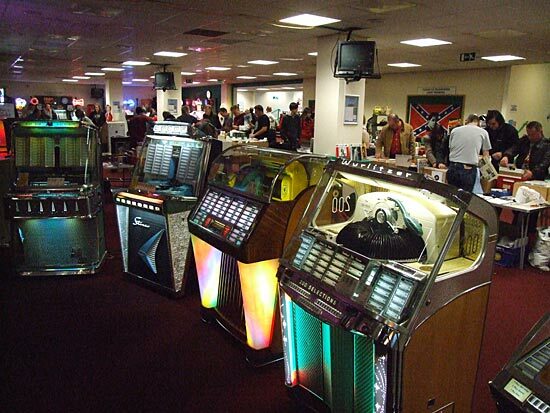 The show continues to be a good marketplace for machine vendors with sales to the jukebox collecting crowd and interest from fellow stall-holders from mainland Europe. In a reversal of the trend of recent years, the low value of the Pound against the Euro makes the UK an increasingly attractive source of machines for European dealers. 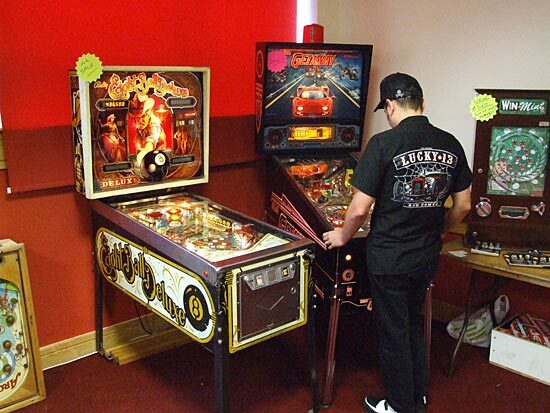 For pinball players it's not a show to experience beautifully restored machine, but if you're looking for a machine in site condition at a reasonable price with the chance to play it first, you just might find what you're looking for at the Jukebox Show.